Chieftain Mauthak Isengard is a single stronghold, built by Numenorians after the fall of their kingdom and originally named Agrenost, 'the Iron Fortress'. Its fortifications consist of a series of strong ringwalls with the tower of Orthanc in the centre. Under Gondor it became known as Orthanc which means "Mount Fang" in Sindarin. Orthanc housed one of the palantíri of the South Kingdom, and was guarded by a royal warden.In the early days of the Stewards, the tower was locked and its keys taken to Minas Tirith. When Isengard fell to the Dunlendings in T.A. 2710 they were unable to enter the tower. When Beren, Steward of Gondor, gave Isengard to the wizard Saruman, in the year 2759, he also gave him the keys to Orthanc.Initially Saruman, uncorrupted, was a good ally to Rohan, but as his mind became shadowed by the power of Sauron, his will was fixed on finding the One Ring. Spies of Saruman were searching for the One Ring near the Anduin, so Isengard was the perfect base for his operations. Saruman has not been idle, in an unprecedented act of evil he has conspired to create Uruk-Hai. These vile creatures are part orcs, part men, unaffected by sunlight and fanatically obedient. The men in question are children of Rohan, abducted by force for Saruman’s foul experiments. 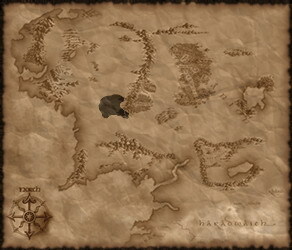 Harnessing the sight of the palantir and having gone unsuspected for so long, he has gained news of the One Ring and from his stronghold could strike anywhere.Acquiring the favour of the wild men of Dunland, who hate the Rohirrim, he has swelled his armies with vast numbers. Saruman has even developed regiments of pikemen and wargriders specifically to counter the might of neighbouring Rohan. Isengard’s hordes are armed with bows, crossbows, yatahans, swords and spears and all manner of arms and armour that the smoldering forges and foundries of Isengard can churn out. The wheels of a black industry are grinding against not only Rohan but all the Free Peoples of Middle-earth. Elite heavy pikemen, armed with very long pikes and protected by heavy plate. Heavy infantry with sword and shield, protected by heavy plate. Disciplined heavy spearmen who form Saruman's personal guard. Savage and efficient heavy infantry with sword and shield. Heavy shock infantry armed with big two-handed axes. Fields heavily armored Uruk-Hai units and terrifying wargs. The central tower of Isengard.